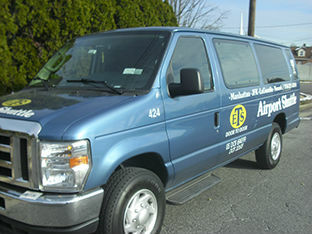 ETS Airport Shuttle is a fully licensed and insured carrier with the Port Authority of NY and NJ. We offer a variety of vehicles to serve our customers every need in New York City. Whether you need an NYC van for a large group headed to the airport, or a stylish SUV for a night out on the town, we have a wide variety of transportation options. We're sure to have the right travel option best suited for your unique needs. Check out our fleet of passenger vans and luxury SUVs below and see if one is right for you! 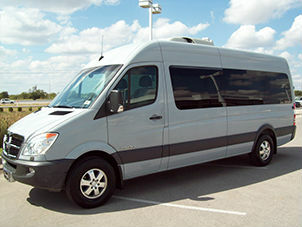 Reserve a New York airport van (room for 11 passengers) and leave the driving to us! Passenger Vans - The best option for traveling from to or from the airport. Great for large groups and families alike. This is no frills airport transfer option when you're just looking to get from point A to point B. 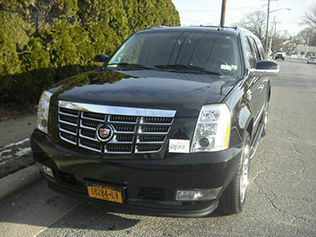 Luxury SUV - Need a luxury vehicle in New York? From a night on the town to business meetings, our luxury SUVs are great shuttle options in NYC. If you're a business traveler looking for a more luxurious airport shuttle upgrade, this is the best vehicle out there. Not as expensive as a limousine, but more stylish than a passenger van, our SUVs can also fit more passengers than traditional sedans (up to 7 passengers). Luxury Sprinter - Our luxury sprinters bridge the gap between SUVs and airport shuttle vans. A little nicer and more luxurious than our passenger vans, but are able to more passengers than a SUV (up to 15 passengers!). This is the best option available for executives traveling to New York City in large groups. Our sprinters, SUVs, and NYC airport shuttle vans service JFK, Newark, LaGaurdia, and more! Reserve your next airport van or SUV with ETS Airport Shuttle. We're Ready When You Are.